Hello! Today, I’m sharing a super easy and chic home decor DIY project with you. 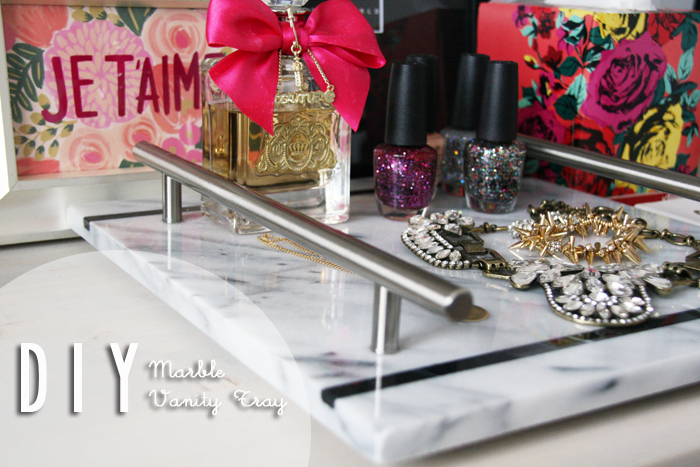 I first saw this DIY marble (slab) vanity tray project a month ago on Style at Home and totally wanted to make one myself. Lo and behold when I was randomly browsing in the home section of Winners a few weeks ago, I came across this pastry marble slab and it completely jogged my memory! It took me a whole 10 minutes (mainly because I was waiting for the glue to dry), and I’m a little bit obsessed with the final product. Who knew a kitchen item (or two!) can transform into such a chic bedroom/bathroom accessory! Thoughts on this DIY? Marble slab pastry board for baking. Alternatively, you can consider a marble floor tile. Not only is this a great decor item to display but it’ll keep all your daily essentials in one place! I’ve been working on a lot of Home Decor DIY projects lately, Yay or Nay? Or do you prefer to see more fashion DIY’s? I’d love to hear from you! LOOOVE the home Decor Projects! Love this so much, I can’t wait to try this myself soon! Please do continue with your home decor DIY and more fashion is always welcome too! 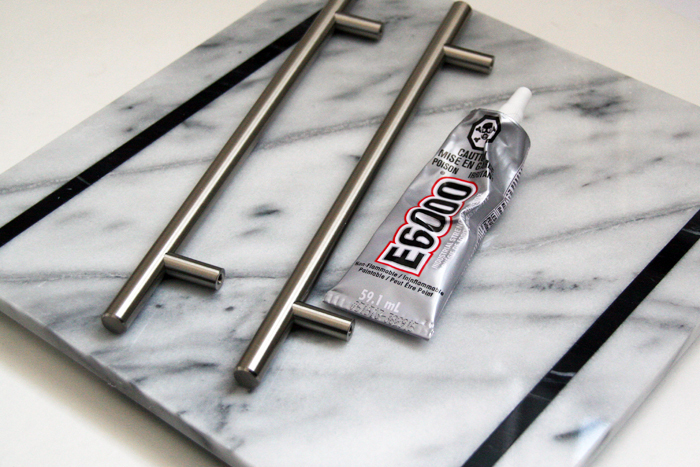 I was just wondering though, once the handles on the marble try have fully dried (let’s say on a marble slab or tile) would it be safe to use them to carry it with objects on the tray? Or is gluing them on more for show and not function? Thanks so much!